Analysts said the fall in gold prices at futures trade was mostly due to trimming of positions by participants. Gold prices fell sharply by Rs 148 to Rs 32,133 per 10 gram in futures trade on April 11 as speculators reduced exposure, despite a firm trend in the precious metal overseas. At the Multi Commodity Exchange, gold for delivery in June traded lower by Rs 148, or 0.46 percent, at Rs 32,133 per 10 gram in a business turnover of 14,846 lots. Gold for delivery in August fell by Rs 160, or 0.49 percent, to Rs 32,270 per 10 gram in 2,555 lots. 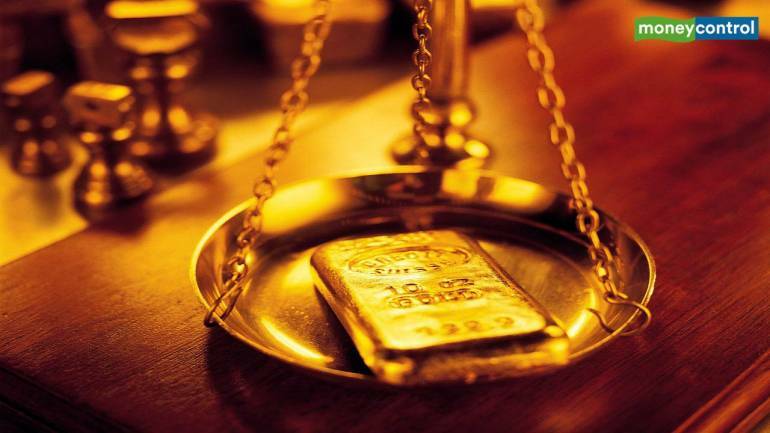 Globally, gold was trading lower by 0.17 percent at USD 1,306.84 an ounce in Singapore.